Dentistry. Young women, patient having a teeth examined. 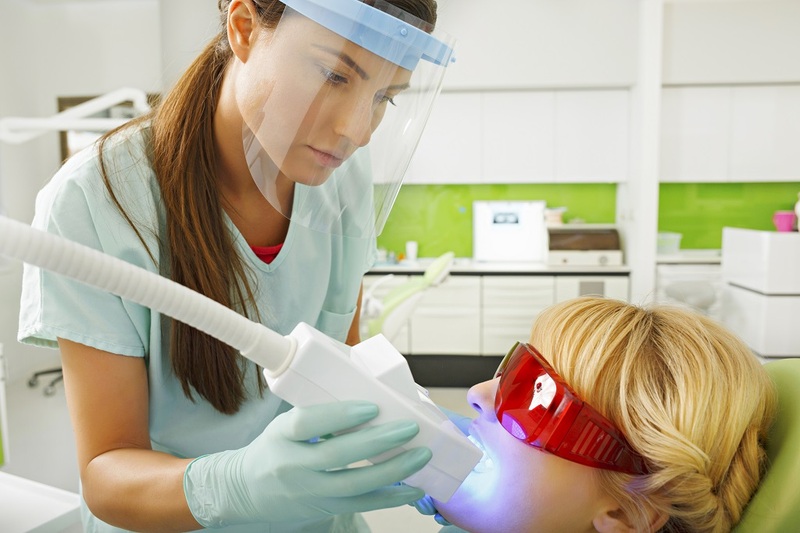 Dentist working teeth whitening dental medical process. Beam is ultraviolet specter of the light, dentist office. Very shallow depth of field for soft background.